How many items should go on today's task list? One (so you are sure you get it done)? Three (maybe possible)? Ten (so you can see everything that needs doing)? While there are certainly really busy days when you can barely get anything unscheduled done, knowing on average how many tasks you realistically get done in a day would be very valuable information for your planning, right? I'm presenting the TASK LIST CHALLENGE so that you can figure out your number - how many tasks do you get done on an average day. 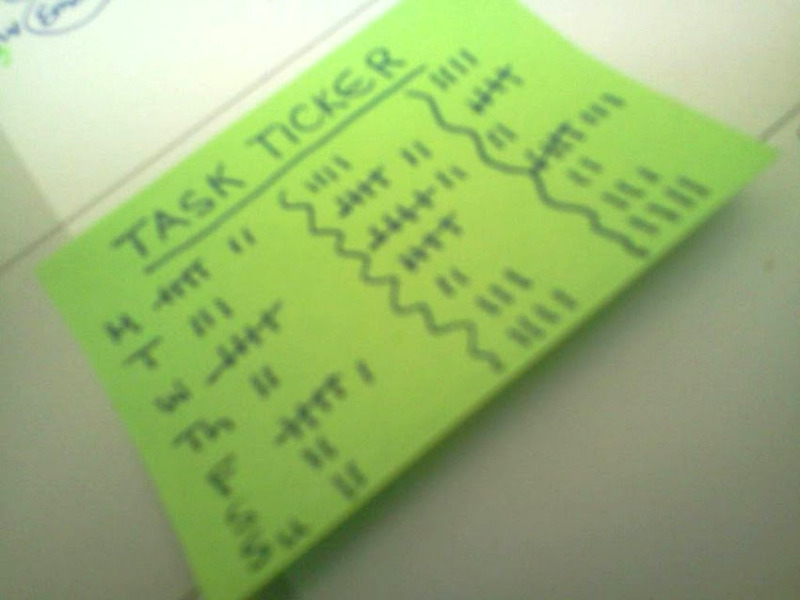 TIP: Once you know your task number, you can assign a number of tasks on most days that is realistic. For example, on a busy schedule day, of course, assign fewer tasks. On an empty schedule day, assign more. If you are trying to be less busy, skip a couple. If you are trying to be more productive, work to up your average by one task a day. 1. Decide what will be included as "tasks." I only include the stuff in the center of my daily spread. The scheduled stuff, like carpool, work, and yoga class, are happening unless I have a sick day or emergency. The daily, routine stuff doesn't always happen, but it gets tracked elsewhere. TIP: You are not trying to win with the highest score. You are simply counting your tasks. So if you do something daily without putting it on your task list, don't count it. 2. 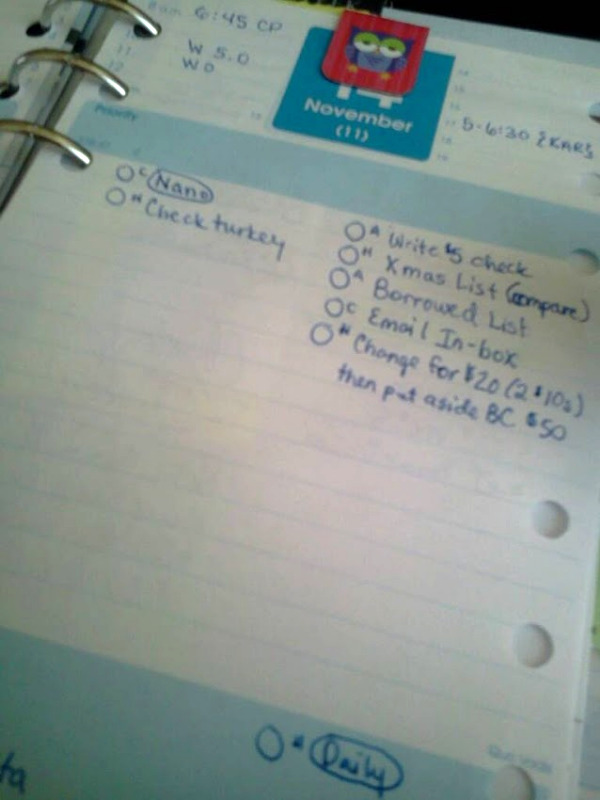 Use a sticky note to track the actual number of completed daily tasks for a week to three weeks. Add up your completed daily tasks and divide by the number of days. TIP: Only include weekdays if those are busier. You can always calculate a separate weekend number. 4. Round up or down to the nearest number. I'm rounding down to 4 overall because I want a realistically achievable task list. However, I think my weekday/weekend calculation is more accurate for what I can achieve because I do the bulk of my tasks on weekdays. So I'm going with 5 & 3 as my weekday and weekend numbers! What's your number? Let me know in the comments or come discuss it at Giftie Etcetera on Facebook. On average, I have 3 tasks. 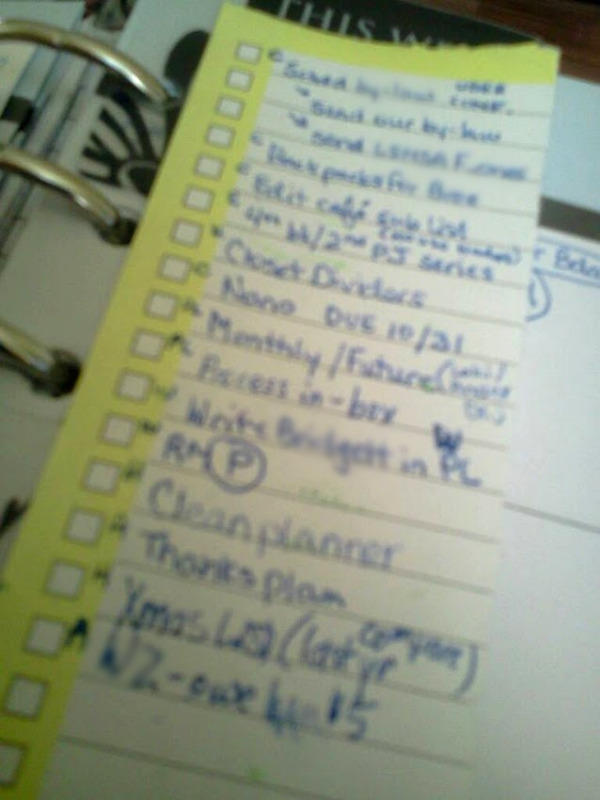 But I also have 4 regular daily tasks that I didn't include into the count (nothing to do with blogging). Some days are particularly busy and I may have 6 tasks. Those are days when I need to go out and run errands / meet people. This is a great challenge. I don't blog, but I work and part of my work is traveling. So 1 - 3 hours a day I am driving in which I can't do much. So my task goal for weekdays is 2, and for the weekends is 4. I make my list at the begining of the week, what tasks I want to accomplish in addition to my daily ones and go from there.